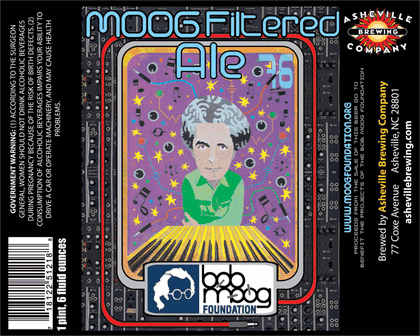 Proceeds from the sale of the limited edition beer went to benefit the Bob Moog Memorial Foundation, which is essentially dedicated to honoring and proliferating synthesizer music skills (someone has to). Outside of the cool tie to a cause, the label art is pretty sweet. The use of bright colors and the various mechanical/musical shapes behind Bob visually recreates the synth music his invention made possible. The gray circuit board and red cord set the image off from the black background, and the techno type face completes the look. 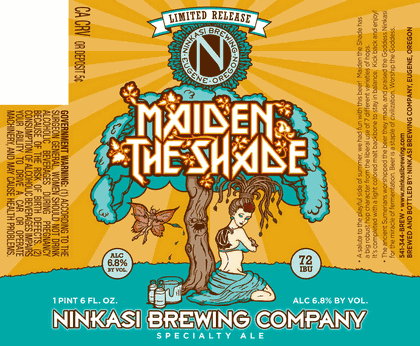 On a slightly different musical note, Ninkasi's Maiden the Shade honored the stylings of Steve Harris and British metal band Iron Maiden. Okay, well, I appreciate the nod to a metal band that basically no one feels the need to honor anymore. And I like the gold-and-aqua color palette, the butterfly and girl, and the tattoo-influenced styling. But I can't help thinking that, lettering aside, Bruce Dickinson would find this label a touch... soft. So, you know, it's nice that they like the music, but I don't know that Ninkasi's lovely label is really in the spirit of Iron Maiden. 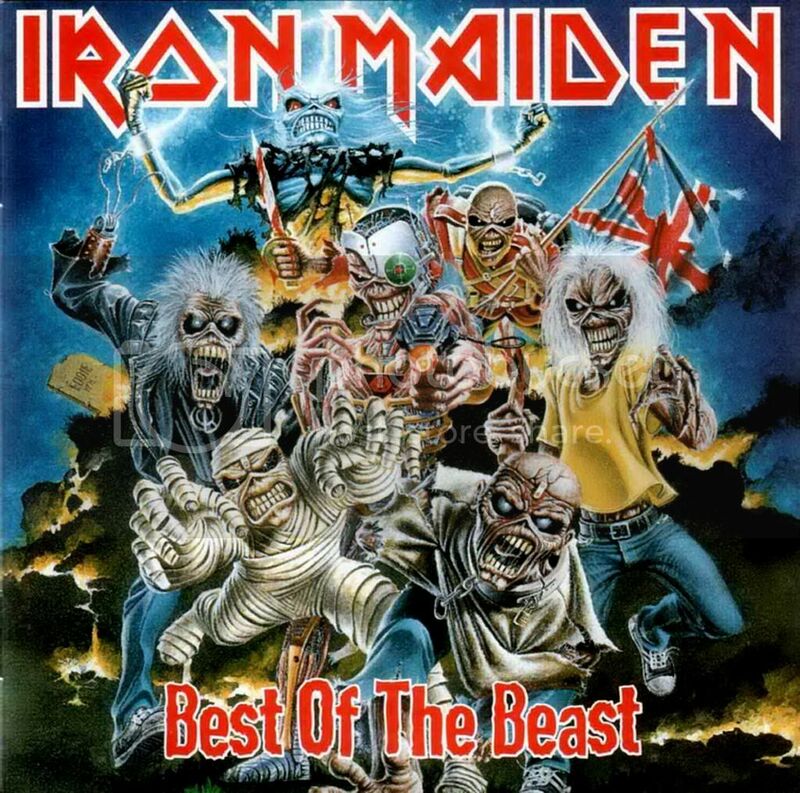 Hard to argue with the wholesale use of the iconic cover art. This is one of those areas where you'd like to have seen some creative play on it in theory, but in practice that would have been very hard to do well. And then there's Abita, which has sadly had the opportunity to make beers not just tributes but causes. You may remember the post-Katrina Restoration Pale Ale. 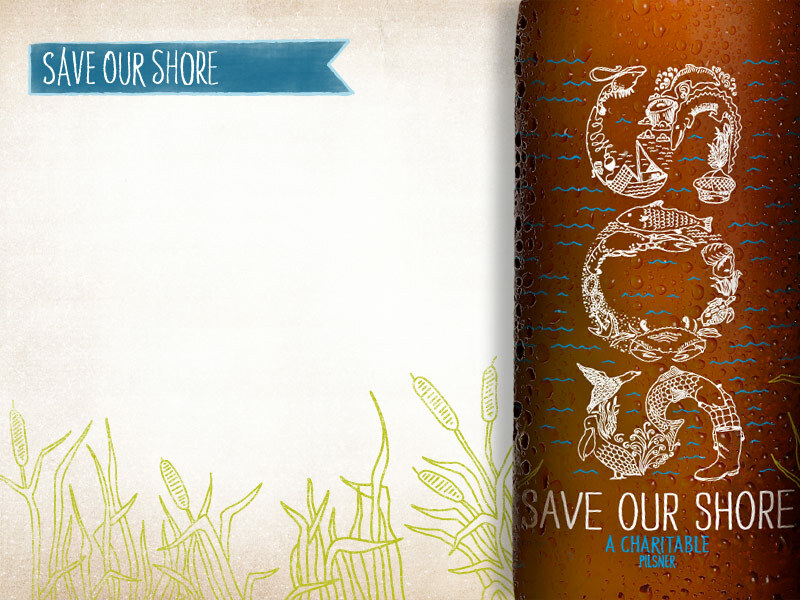 Well, now there's the Save Our Shore Charitable Pilsner, $0.75 from each sale of which will go to aid cleanup efforts in the Gulf. I like this art a lot, actually. The use of the fish and other shore images to create the SOS is simple but effective, and it reinforces the heartbreak of what has happened (and is still happening) in the Gulf. Obviously the importance is nothing compared to the cause it supports, but the entire site and Web design that went into to the campaign is really very impressive artistically. I encourage you to take a moment and look at it; the people at Innovative Advertising, LLC have really done something good with this campaign. Unlike some other sites, it doesn't bombard with imagery so much as it uses the simple color scheme and some easy characters to present an idyllic image that could easily be lost to everyone who lives in the area.